Progression of colorectal cancer (CRC) is a main cause of its morbidity and mortality. CRC progression is characterized by increased growth of the primary carcinoma as well as lymphatic and haematogenic spread. The microenvironment of primary or circulating and disseminated tumor cells seems to be essential in all steps of the metastatic process of CRC. Therefore, the authors suggest that cancer-associated cellular stroma evolving from the extracellular matrix should be crucially integrated with CRC diagnosis, staging and treatment. Following this, a short review focuses on the immunohistochemical findings and the molecular signaling pathways during the development from chronic inflammation to Kaposi’s sarcoma formation. Kaposi’s sarcoma is a multifocal neoplasm characterized by deregulated neoangiogenesis, proliferation of spindle cells with infiltrated inflammatory cells and erythrocytes in the skin and visceral organs. The papillary thyroid carcinoma from tall cells (tall cell variant, TCV) was first described by Hawk and Hazard in 1976. 162 such cases were published in the world literature prior to 2000. This is a rare tumor with a frequency of 1-2 cases per million people in Europe and the US. Taking into account the histological pattern, immunophenotype and the results of molecular genetic research, additional differential diagnostic criteria for papillary thyroid cancer from tall cells with transformation into anaplastic carcinoma have been proposed. Cervical cancer is mainly caused by infection with high-risk types of human papillomavirus (HPV), especially type 16. In this collection, the authors present a study which reveals that HPV16E6 protein induces COX-2 gene and protein expression through PI3K/Akt signaling pathway in association with the increase of PGE2-EP4 receptor leading to promote carcinogenesis. False positive and false negative diagnoses in focal carcinomas of the prostate represents one of the most common and significant problems in daily practice. Thus, the authors conclude with a summary of the criteria of greatest value to establish the diagnosis of carcinoma when only some neoplastic glands are found. These focal adenocarcinomas have been termed limited, minimal, minimal volume carcinoma and microcarcinomas. 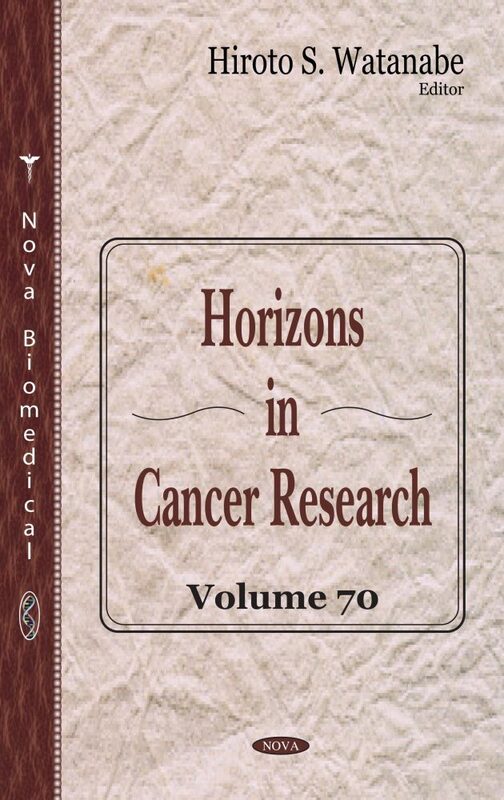 Although most are unique, they may occasionally be found in other sites on the same biopsy, in subsequent biopsies, or in prostatectomy products.